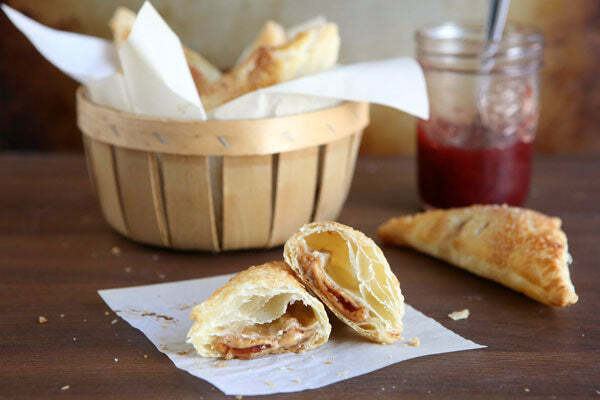 Super simple peanut butter and jam turnovers require just 5 ingredients and come together in minutes! They are a fun reinvention of a classic combination, and are all dressed up in a presentation that’s perfect for entertaining. Your friends and family will love how simple yet delicious they are. 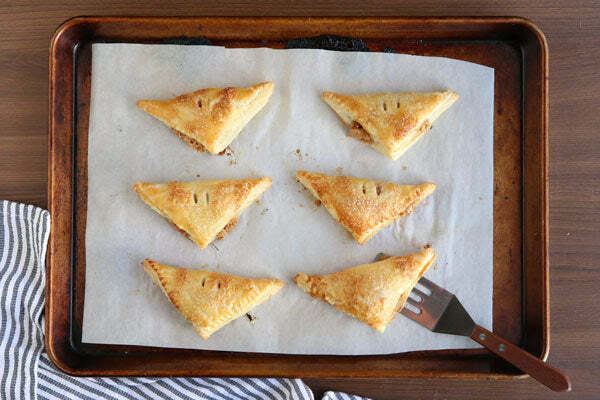 And be sure to bake up a double batch, as they’re sure to disappear fast!I used Smooth Operator peanut butter, but if you’d like a little crunch in your turnovers, feel free to try Crunch Time. 1. 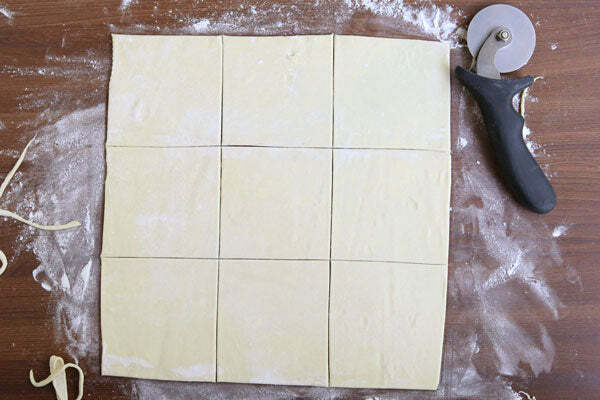 On a lightly floured surface, roll the puff pastry into a 12-inch square. Trim with a knife as necessary to get clean, straight edges. Cut the square into 9 3-inch squares. 2. 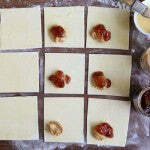 Combine the egg and water to make an egg wash. Brush each square with the egg wash.
3. 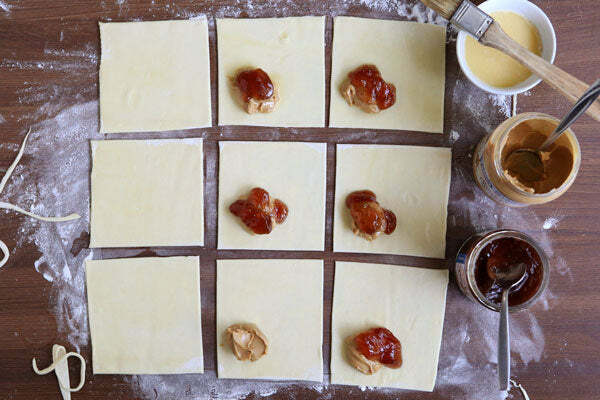 Place a small spoonful of peanut butter and strawberry jam into the center of each square. 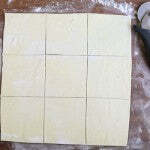 Fold the square over on itself to create a triangle, pressing the edges together with your fingers to seal. Press the back of a fork onto the edges to seal completely. 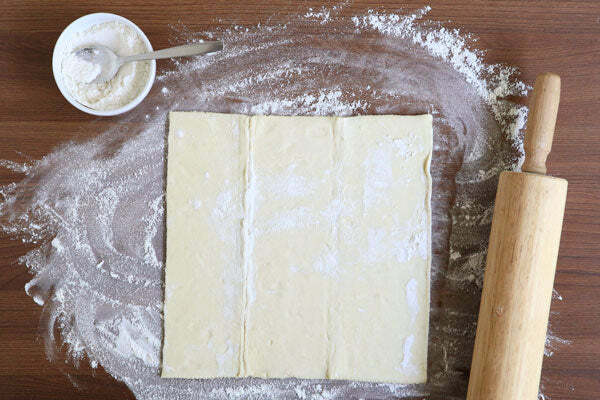 To prevent the filling from leaking during baking, make sure that no peanut butter or jam has prevented the edges from sealing. 4. 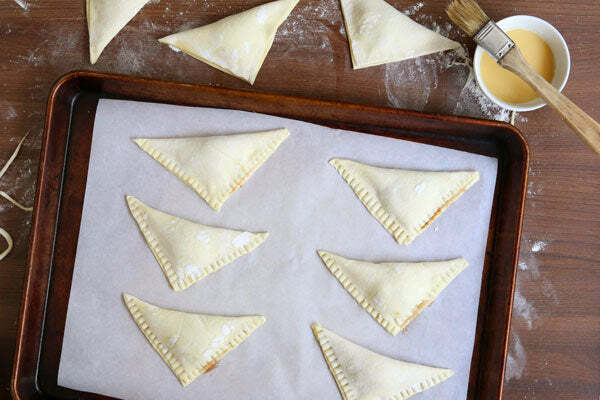 Place the turnovers on a sheet pan lined with parchment paper and freeze for 30 minutes. Meanwhile, preheat oven to 425°F. 5. 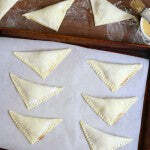 Remove turnovers from the freezer and use a sharp knife to cut 2 or 3 vent holes in each. Brush with egg wash and bake until golden, 10-12 minutes. 6. Serve immediately. 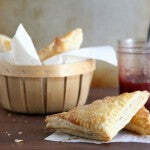 Turnovers are best the day they are made, but you can store them in an airtight container at room temperature for up to 3 days. 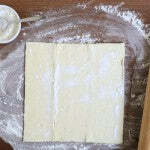 Note: You can thaw the puff pastry in the fridge overnight or at room temperature for 30 minutes. 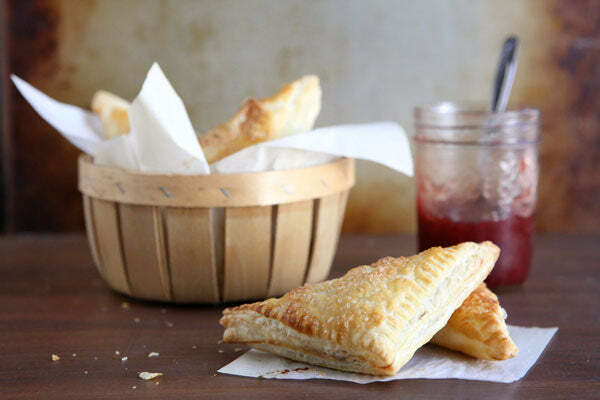 Be sure to keep it cold when you’re not working with it as warm puff pastry can be difficult to work with. 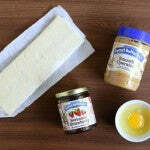 What’s your favorite way to combine peanut butter and jelly besides sandwiches? 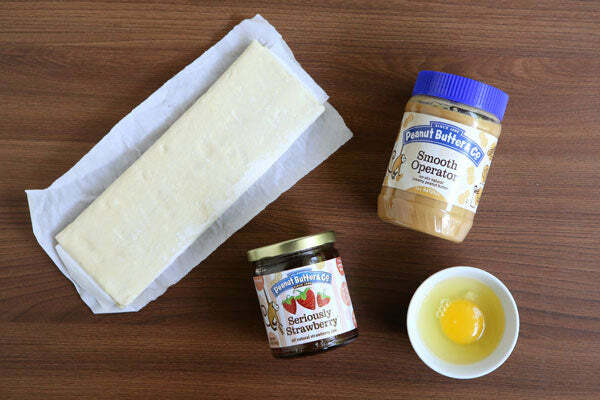 Leave a comment below with your answer to enter for a chance at winning a jar of Smooth Operator and a jar of Seriously Strawberry jam, the peanut butters used in this recipe. – The giveaway is open to USA residents only and will run until Monday, February 16th, 2015 at 11:59 PM EST. – Winner(s) will have until 2/24/15 to claim their prize or we will choose another winner. 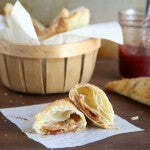 – Winner will win one jar of Seriously Strawberry jam and one jar of Smooth Operator peanut butter. Product will be shipped by Peanut Butter & Co. 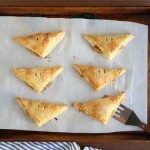 The post Peanut Butter and Jelly Turnovers appeared first on - Peanut Butter & Co. Recipe Blog.